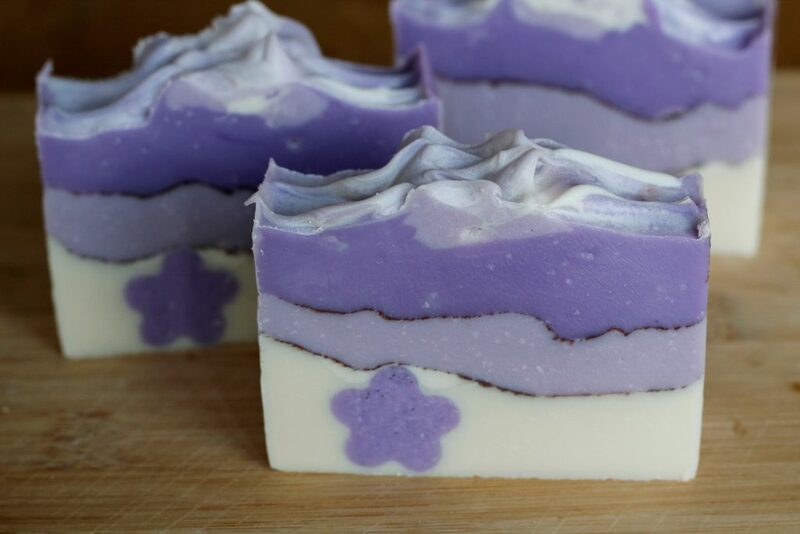 One of the most challenging things when you’re first figuring out how to make soap is – hands down – how to control trace. 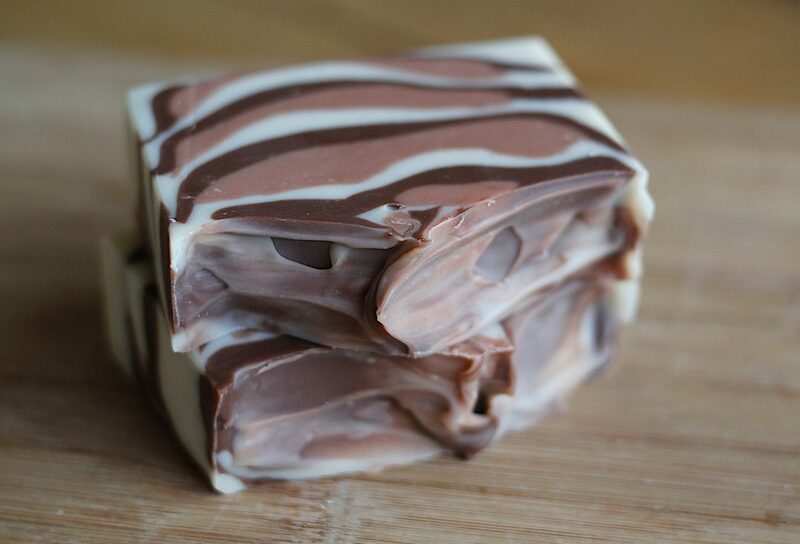 There’s quite a learning curve in seeing the different stages of trace in cold process soap. 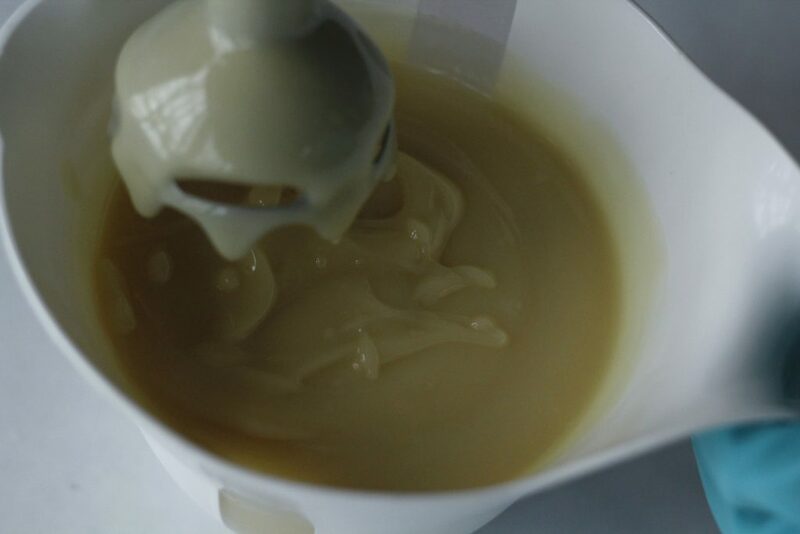 Your batter will normally go from emulsification to light trace (thin pancake batter) to medium trace (light pudding batter) to thick trace (pudding batter) the more you stickblend or the longer you let your batter sit. Thick trace is what I want to talk about today. 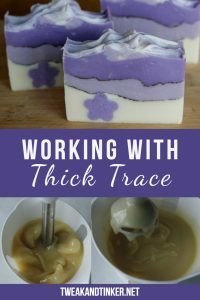 Thick trace is what most beginners end up with when they first start to make soap and that’s normal. 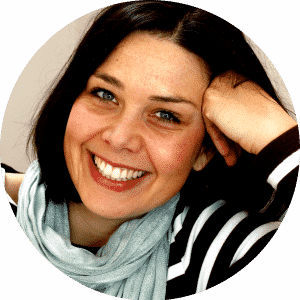 It’s mostly due to the fact that beginners have the tendency to stick blend for too long and that they’re being told to soap at higher temperatures (around 110º F). 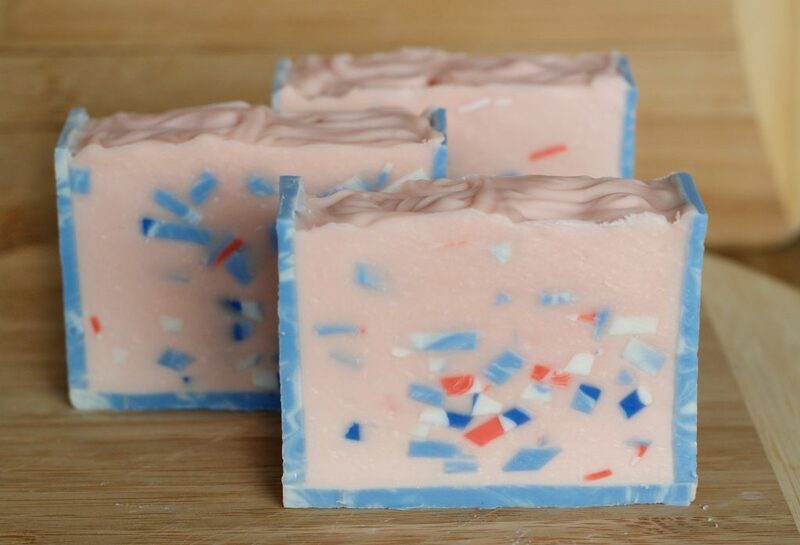 Soaping at higher temps makes sure that rookies don’t encounter “false trace”, a state where the soap batter looks emulsified but really isn’t, and will separate over time. If you’re a beginner simply know that with a little practice it’s o.k. to soap cooler if you’re aiming for light trace. Ideally you want to get to a point in your soaping journey where you can control trace, and make an informed decision about what consistency you’re aiming to achieve for your desired design. That’s why I thought it might be helpful to talk about thick trace, because it has some merits, but also some downsides. I like working with thick trace, it’s a lot of fun to play around with. When I plan to use colors, I try to stick blend to light trace, separate the batch, work the colors in and let it sit until it thickens up. I also like that I seem to have more time to work, since the batter is already thick and it will take quite a while for it to really set up. Thick trace is also my go-to consistency when I’m doing a quick, no fuss, one colored batch. Looking for tutorials that involve thick trace? Check these out! Thank you for this info I just jumped into making cold process and seriously almost every batch so far I was assuming that I blended it too thick, air bubbles etc. I trying a new batch this weekend and will be doing some color layering so I’m going to try not to over mix it…. I hope your next batch turns out better. Good luck!